One of Netflix’s less heralded pieces of original programming but most original by virtue of being its first exclusive (even if it is in fact a production of Norwegian public broadcaster NRK), Steven Van Zandt-led series Lilyhammer has had its Netflix return date confirmed. Whilst the comedy crime drama will be starting its 8-episode 3rd season by the end of the month on 29 October, Netflix will unusually premiere it part-way through, taking all 8 of the episodes onto their streaming service (in territories/regions where they have the rights, which are noted as being USA, Canada, UK & Ireland, Latin America, the Netherlands, and Scandinavia (Denmark only)) for an instant premiere on Friday 21 November. 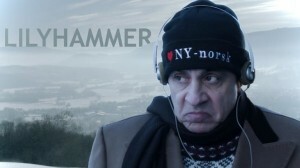 The series features Van Zandt (The Sopranos) as “Frank ‘the Fixer’ Tagliano”/”Giovani ‘Johnny’ Henriksen”, a former American gangster in New York City who after testifying against a mob boss is relocated by the witness protection program to the small but well-known town of Lillehammer (Norway) and soon regressing to his old ways, with the American actor having also made his mark on many other departments in the show such as executive producer and music composer, and will by the end of the season have covered ‘director’ as well, with his work on the season 3 finale episode. Casting-wise, the new season of Lilyhammer will also see an acting debut from 8-year-old singer Angelina Jordan, famed for winning the most recent edition of Norske Talenter (Norway’s Got Talent). Plot-wise, it is noted that season 3 features the character “Roar” (Steinar Sagen) travelling to Brazil in order to meet his internet bride, but ends up in trouble with the local law enforcement, leaving Johnny and “Torgeir” (Trond Fausa) left to fix the situation, whilst an American ‘family friend’ of Johnny sees great opportunities in Lillehammer and decides to visit.